He is regarded by many as one of the most outstanding running backs in the history of Waycross High School. Doyle launched his grid career as a junior at Center High School and then attended Waycross High School in 1969-1970 where he became an outstanding running back. He gained 2289 yards rushing and scored 152 points (25 TDs and one rushing PAT), won All-Region, All-state honors and was named Parade Magazine All American High School Team. He lettered in track setting a school record 9.7 seconds in the 100 yard dash and tied a statE record of 9.9 in that event in the state meet. 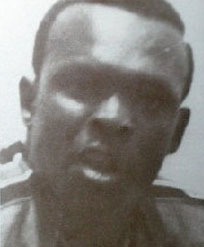 He ran the 220 yard dash and was a member of the 440 yard relay and sprint-relay teams that placed in the state meet as Waycross won the Georgia AA Crown in 1970. He was awarded a grid grant-in-aid to Southern Mississippi College where he lettered for four years. He was drafted by the Atlanta Falcons of the National football League but spend his professional career playing in the Canadian Football League with Hamilton and Toronto. He later worked for the Toronto Recreation Department.